Lyme disease is usually divided into three stages: early localized disease, early disseminated disease and late Lyme disease. The first stage is characterized by the characteristic rash with or without systemic symptoms such as fever, body aches and joint pains. Early disseminated disease is characterized by rashes and/or neurologic symptoms and/or heart problems. Late Lyme disease is associated with arthritis, usually involving one or a few large joints, particularly the knee, and/or neurological problems. The neurological problems can involve the brain, the covering of the brain or a specific nerve possibly creating headaches, paralysis, or nerve pain. Arthritis symptoms, particularly if only the knee is involved, can appear to be a solitary problem, with no clue that the problem is caused by Lyme disease. 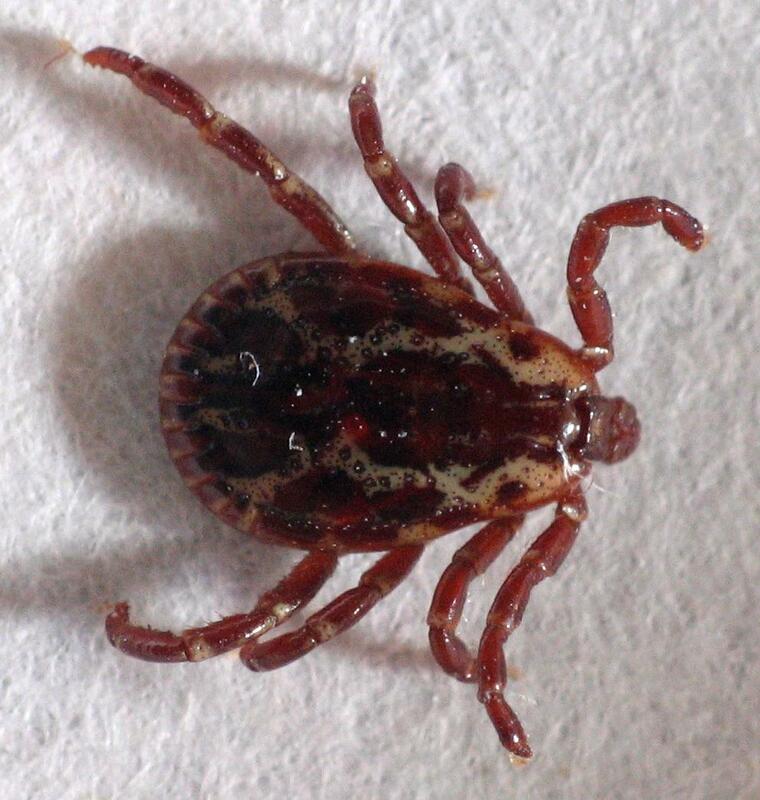 Early disseminated disease occurs weeks to several months after the initial infection from the tick bite. These symptoms can be the first manifestation of Lyme disease since 20% of people with the disease do not recall any rash and approximately 25% of people with the disease do not recall a tick bite. Late Lyme disease occurs months to years after the tick bite and, as in the case with early disseminated Lyme disease, the history of a rash or tick bite might not be present or a history of having had the earlier stages of Lyme disease. The symptoms include arthritis, predominantly of the large joints, especially the knees. Neurological symptoms can also occur. Symptoms usually resolve gradually, as they do in most infectious diseases, after a full course of antibiotics. Post-Lyme disease syndrome refers to symptoms such as headache, muscle pain, joint pain and fatigue that persist, but generally resolve after six months to one year. A confusing issue develops when a person who has, by all accounts, been successfully treated for Lyme disease suffers continuing health problems that do not resolve with time. This situation has been termed chronic Lyme disease by some and is the subject of much dispute. Briefly, certain doctors and advocacy groups maintain that, in these situations, the symptoms are caused by Lyme disease that failed to be eradicated by the standard treatments. Medical authorities counter that the persisting symptoms are due to another illness that, perhaps, was triggered by Lyme disease. The “other illness” suggested is often either fibromyalgia or chronic fatigue syndrome. Both usually respond poorly to any one of a number of medications or treatments traditionally employed. Many, if not most, physicians suspect that fibromyalgia and chronic fatigue syndrome are, at the root, psychological problems. You can imagine how frustrated a person feels who had been totally healthy, was bitten by a tick, became ill with Lyme disease, failed to improve after treatment, and is now told he has a psychological illness! Personally, I think that the development of symptoms compatible with fibromyalgia or chronic fatigue syndrome after Lyme disease is further proof that these illnesses are not psychological. I suspect that chronic Lyme disease is not due to the persistence of the Lyme organism, but that the Lyme organism has triggered some other illness. Therefore, additional antibiotics directed at Lyme would be pointless, and possibly harmful. What to do? It is necessary to search for other illness triggered by Lyme. I have seen cases where Lyme triggers an arthritic illness. What initially was arthritis caused by the Lyme organism is now arthritis caused by another arthritic disease, itself triggered by Lyme. Look closely at the blood for autoimmune markers. If the symptoms suggest arthritis get treatment for arthritis even in the absence of confirmatory blood tests. Persisting fatigue with or without bodily pain is usually the most troubling symptom for patients with “chronic Lyme disease.” Long courses of antibiotics are ,almost always, fruitless. A more productive approach is to start fresh, evaluating each symptom as a new issue using standard, individualized treatments as needed. For instance, despite the patient’s firm belief that persisting Lyme infection is causing severe fatigue treating fatigue with medications known to improve it can be very worthwhile. A creative and unprejudiced approach, as usual in medicine, offers the best chance for success.